The Metcalf Foundation recently released a report on the re-development of Regent Park, a massive project to drastically re-image one of the cities most well-known neighborhoods. From its last days as Cabbagetown to its rebirth as Regent Park, the community has always been considered a slum. However, it has become a major test case in the conversation of how planning practice can provide affordable housing and community resources to all without creating the isolated areas of the past. Call it the modern form of “Equity Planning”. This has prompted a total redevelopment of Regent Park – a huge multi-stage project. The new buildings are united with old townhomes and apartments as the plan gores through to bring new life and units to previous tenants while also bringing new life and business to the community. The massive test of equity planning in Toronto will bring new opportunities to Regent Park residents while new income groups will bring a gentrification of the area. While it will take time to see the final result, it will also inspire planning practice in the future. Categories: Toronto News | Tags: Cabbagetown, Metcalf Foundation, Regent Park, toronto, Toronto real estate news | Permalink. 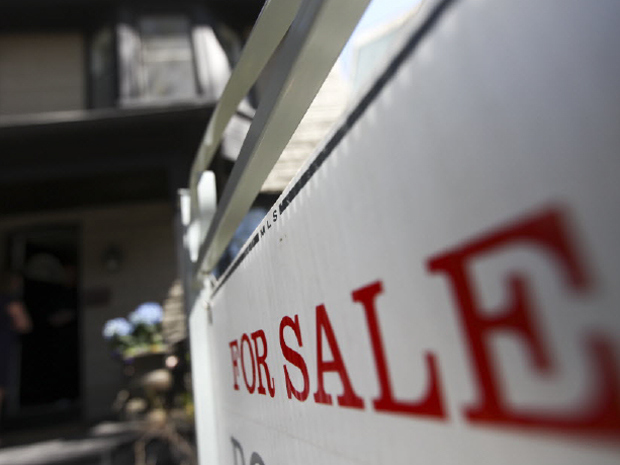 A report from Canada’s third-largest bank hints a slowdown in the countries housing market. The report, that was released Monday, said the slowdown will continue for the rest of the year and might follow us for years to come. The report, released by Scotiabank, also states that no crash is likely since demographic trends support the medium term. The report went on by sharing that home sales dropped more than 10% from last spring, with prices leveling off but not yet falling except in hard-hit markets. Even with the slump, Canada’s dramatic drop isn’t as bad as it is in the United States. Scoitabank senior economist Adrianne Warren expects prices to decline around 5% but that will likely be over the next couple of years rather than happening quickly. Due to demographics, including rapid immigration and baby boomers wanting to keep their homes, she says will support housing demand. “Contrary to some dire predictions, population aging will not fuel a demographically induced sell-off in Canadian real estate. However, an aging population does point to a lower level of housing turnover, sales and listings,” Warren shared in the report, Scotiabanks’s annual real estate outlook. The report goes on to point out that seniors are healthier, wealthier and living longer than previous generations and are attached to their homes, which is making them not likely to sell in a down market. Warren looks at immigration also as a factor. It adds some 250,000-300,000 people to our countries population, yearly and will continue to be the dominant source of new household formation. Typically, immigrants look to rent at first arrival, however, it’s been proven that they look for home ownership after five years and their rates of owning a home is around the 70% rate of native-born Canadians after 10 years. This will support house prices in big markets, Warren points out. This will help put a floor under the market locally and in Vancouver, which had the hottest market before the slowdown. Are you confused if it’s the right time to Buy or Sell this year? Get a Free Home Warranty and let me prepare a tailored market analysis for you. Categories: Toronto News | Tags: Canadian housing market, financial post, Real Estate news, Real Estate Report, Scotiabank | Permalink. There is a wind warning in effect for the GTA with winds up to 100 kilometres tonight and 60-90 kilometres tomorrow Saturday March 3. This is part of the Tornado that ravished the US Mid-West 3 hours ago. Reports from the news say the whole town of Marysville, Indiana has been wiped out. That is just unbelievable when a whole town is destroyed by the elements. It is truly sad when you think how many lives are affected. Let’s keep Indiana in our prayers. 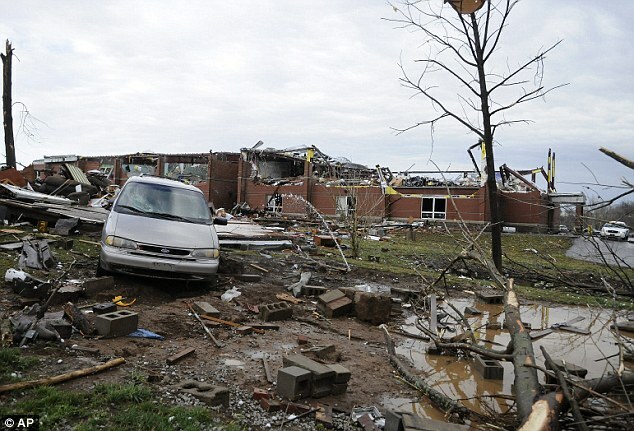 Photos of the Tornado Damage. Tonight be careful when going out. Prepare your home and secure all loose objects in the yard. Make sure all windows and doors are securely closed. Categories: Toronto News | Tags: extreme wind toronto, gta weather warning, marysville indiana wiped out, mid-west tornados, tornado outbreak in usa, tornado warning, wind warning gta | Permalink. How To Search For Schools In Toronto, York Region, Peel District, Durham District and Halton District. For the Toronto District School Board, home owners can search for schools using their home address. For the York Region School Board, home owners can search for schools using their home address. For the Peel District School Board, home owners can search for schools using the map. For the Durham District School Board, home owners can search for schools using their home address. For the Halton District School Board, home owners can search for schools using their home address. Categories: Real Estate Articles, Toronto News | Tags: ajax school search, aurora school search, brampton school search, brock school search, burlington school search, clarington school search, east gwillimbury school search, georgina school search, halton district school board, halton hills school search, keswick school search, king school search, markham school search, milton school search, mississauga school search, newmarket school search, oakville school search, oshawa school search, peel district School Board, pickering school search, richmond hill school search, school search, scugog school search, stouffville school search, toronto district school board, uxbridge school search, vaughan school search, whitby school search, whitchurch-stouffville school search, york region school board | Permalink. Environment Canada issued a tornado watch for southern Ontario, just one day after the Toronto Earthquake. A line of thunderstorms is expected to develop over Michigan this afternoon then track rapidly eastward into Southern Ontario late this afternoon and this evening. The threat for storms will begin in areas near Lake Huron between 4:00 PM and 5:00 PM then move eastward to reach a line from Eastern Lake Erie through the Golden Horseshoe to the upper Ottawa Valley by 8:00 PM. Some of these storms will have the potential to be severe with large hail, damaging winds, and torrential downpours. There will also be the potential for isolated tornadoes. This is an alert to the potential development of severe thunderstorms capable of producing tornadoes. Monitor weather conditions and listen for updated bulletins. We all remember the last tornado that hit Vaughan. Prepare yourself and it won’t be unexpected. Also a good time to check your home insurance, does it cover tornado damages. Thank-you for reading our article about “Toronto Tornado Watch – August 24, 2011”, contact us if you need anything or leave us a comment below. Categories: Toronto News | Tags: aurora tornado, markham tornado, newmarket tornado, north york tornado, richmond hill tornado, thornhill tornado, toronto tornado Aug 24, toronto tornado watch | Permalink. Toronto is the worst Canadian city for commuting according to a Statistics Canada survey released Today August 24, 2011. Toronto had the longest commuting time with 33 minutes with Montreal a close second at 31 minutes. 27% of workers had travel times of 45 minutes or more. More interestingly was that public transit takes longer than by commuting by car. The shortest trips are workers who walk or bike to work taking 14 minutes on average. Next are car users taking 24 minutes on average. Meanwhile public transit workers took 44 minutes to travel to work. In general, workers were satisfied with their travel times, but longer commute times were associated with a higher levels of stress. The City of Toronto wants to build more roads to accommodate the influx of additional cars in the coming years. Is that really the solution or just a band-aid for the Gridlock? I have lived in Asia where sometimes the car tax is as much as the car itself. The gas is double the Canadian prices. Those two elements certainly deter car usage. One needed factor is to improve our transit system to attract people to the convenience of taking public transit. Taking the double decker buses in Hong Kong was fast and just cool. Subway transfers were as easy as walking across the platform. Payment was stored on a rechargeable card. The system just flowed so smoothly in a city of over 7 million. Would privatization help? Categories: Toronto News | Tags: statistics canada, Toronto commute, toronto commute times, Toronto traffic, toronto traffic jams, ttc or driving | Permalink. An earthquake trembled the Toronto GTA area today at around 2PM. It was a shallow earthquake so it wasn’t felt by many. Anyone in a condo or office buildings sure felt the sway though. The quake, preliminarily measuring at a 5.9 magnitude, hit Virginia just before 2 p.m. and was also felt in Washington, New York City, and North Carolina. Some buildings were evacuated but no reports of any injuries. The last earthquake was last year on June 23 with a 5.0 Magnitude. Does your home insurance cover earthquake damages? Thank-you for reading our article about “Toronto Earthquake – August 23, 2011”, contact us if you need anything or leave us a comment below. Categories: Toronto News | Tags: aug 23, august 23 2011, earthquake home insurance, earthquake north york, earthquake toronto | Permalink.